Perfect after school treats. 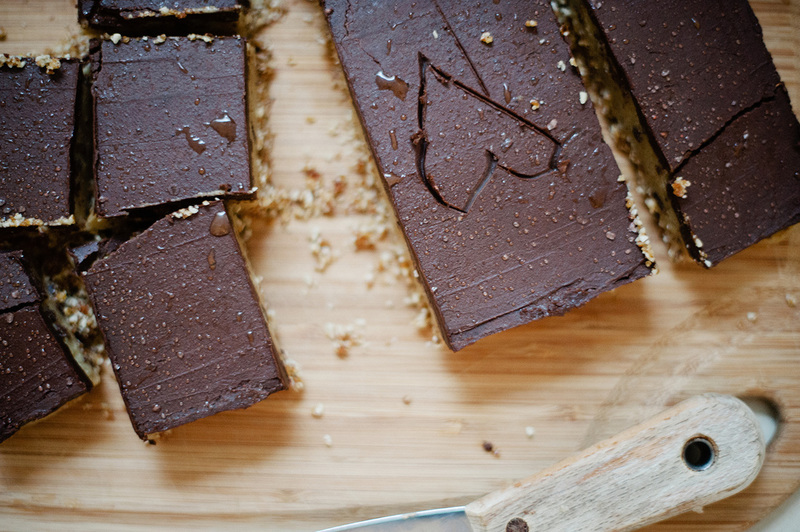 Delicious raw caramel slice made with raw tahini caramel and refined sugar-free. 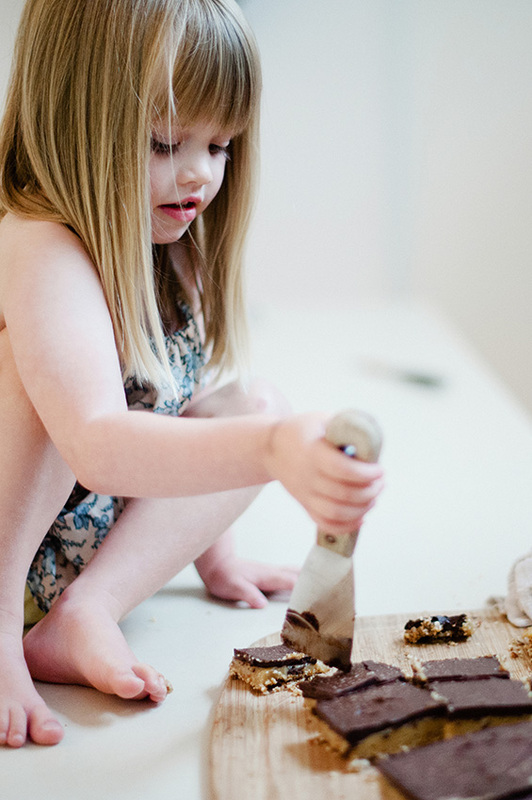 Tahini is a great source of calcium, protein and fats for kids. 1 tablespoon of raw stone ground tahini contains 63 milligrams of readily absorbable calcium, 3 grams of protein (20% complete protein), and omega 3 and omega 6 essential fatty acids for brain development, growth and concentration. 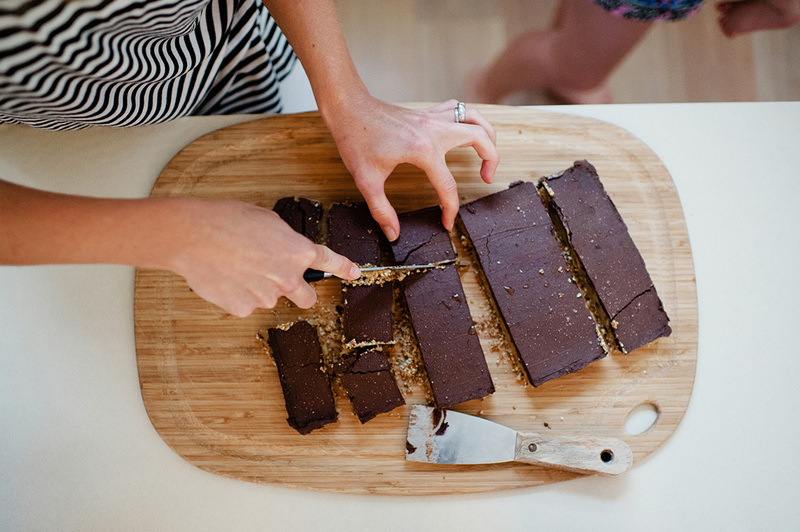 Grease a rectangular brownie tin with coconut oil, line with baking paper and lightly coat baking paper again with coconut oil. Blend the sultanas, dates and nuts in a food processor until mixed through. Add vanilla and continue to blend until the mixture is sticky. You may need to add more coconut oil. Cover the base of the bottom of the baking tin and place in the freezer while you make the caramel.Blend all caramel ingredients until smooth and pour over base. Use a spatula to flatten the mixture evenly and ensure a straight layer. Again put the baking tin in the freezer while you make the chocolate. Place all chocolate ingredients in a saucepan and place over very low heat to mix through, while sugar dissolves and coconut oil melts and mixes through the cacao. Don’t let the mix heat above 40 degrees Celsius, this will overcook the cacao and nutrients, antioxidants and enzymes are lost. Pour chocolate over the slice and put back in the freezer for 30 minutes. Turn out carefully, remove baking paper and slice into squares. Keeps in the fridge for no more than a week. Or freeze portions for after-school emergencies. this is sooo good, I’ve just finished making a batch and am so impressed with the taste. I didn’t have sultanas so I replaced it with dried cranberries. Am definitely making this again!! !